Xbusta (Mr. Golden Okafor) who was the last music artiste signed into Nigeria's music label has quit the label. In a series of posts made on social media today (January 30th, 2017) the rapper made it known that his time at the label which is one of the foremost labels in Nigeria made it public that it's goodbye time. He stated that he was now proceeding to the "Next Level" and that Five Star Music label was like a school to him. According to our source, Xbusta has parted ways with the label. 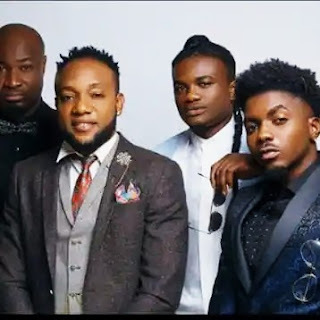 Xbusta's exit from 5 Star is coming within the same year that former label mate HarrySong left to form his Alterplate label and Skibii also left to form his own label leaving the 5 Star label whose Chairman is E-money with only Kcee and Xbusta. Xbusta who was the last to be signed to the record label has now exited, leaving only Kcee in the label.